Making a career, rather booming career is what we want from our children. In fact, the young generation is itself very concerned about what they do and how well they do it. Amidst of the fierce competition that we face in this world, the budding youngsters are fighting to secure them a lucrative career and touch the limits of success. Seeking this incredible opportunity the private firms has sought out an amazing way to get the best out of these thriving youngsters. The companies extend their help to these struggles in the form of “Internship”. Ohh! now, you got the vein of our conversation. The Internship is the new luring weapon that private firms use to get them an easy resource. But sadly, the youngsters take it as a hoop for grabbing an easy job. They presume it to be helpful to secure them self a great job in the same organization where they work as an intern. But the reality is entirely different. 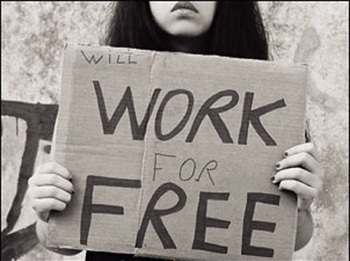 Here is the real picture of how unpaid internships are exploiting millions of youngsters in India. If you wonder to be an intern to get firsthand experience of corporate. 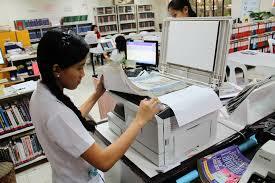 You might be wrong my friend as all you will get to do is photocopying or bundling of the documents. Bitter but true. You won’t get a penny even if you do some labor there; the companies seek for young talent who is ready to serve for free. And trust us there are many who are ready for this. The internship is basically skill generating exercise where a budding entrant learns the nitty gritty of the trade but it has come a long way from its origin and nowadays serve as nothing but a low budget advantage to the companies.